Hear how Abbey Road engineers used three sets of microphones to create three unique perspectives, to allow you and your listeners to experience the CFX in very different ways. 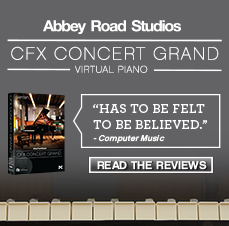 This unique virtual piano was made possible through an equally unique partnership between Garritan and Abbey Road Studios, which is briefly described in this video excerpt. Take a behind-the-scenes look at the creation of this remarkable virtual instrument. Includes details on microphone perspectives, the recording process, and the Garritan/Abbey Road Studios partnership. 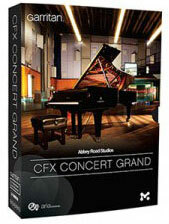 This short video offers a brief introduction to the Garritan Abbey Road Studios CFX Concert Grand virtual piano.